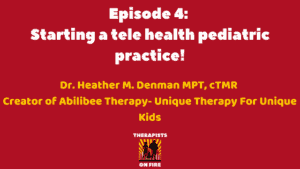 Episode 4: After 20 plus years a pediatric physical therapist, Heather M. Denman MPT, cTMR is taking a leap and creating her own tele-health pediatric physical therapy practice called Abilibee Therapy: Unique Therapy For Unique Kids! This episode is about creating tele-health practices and changing peoples lives through an incredible technique called Total Motion Release(TMR)! Heather walks us through how she was inspired to start her tele-health practice, the challenges she faced, and how she is making amazing impact in her patients lives through Total Motion Release. I encourage you to listen all the way to the end, as she dives deep and gives a very detailed explanation of how you can use this technique in your practice today! 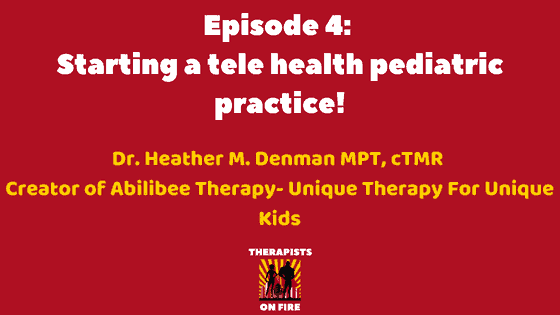 1:19 How Heather was inspired to start Abilibee Therapy, a tele-health clinic for pediatrics with an emphasis on Total Motion Release. 5:25 The challenges to starting her own business and how a loss of job inspired change! 7:45 How technology has inspired a new wave of clinicians. 8:30 The challenges of leaving a more stable permanent position. 17:59 Achievements: the ability to solve challenges, acquire new information and knowledge. 22:09 How she uses TMR with pediatrics. She teaches the parents how to work directly with their child from the start to potentially get better results. -TMR doesn’t stretch because it may cause a variety of issues and also is painful, so you actually allow that side of the body to relax and let go. 28:30 Several specific examples and case studies of how to use TMR and how this has really changed patient’s lives. -Child that was a toe walker. After just several weeks, by encouraging relaxation of the plantar flexors, this actually solved her pain as well as her toe walking. 40:18 How to work with patients in casts or immobilizers to maintain strength by using the opposite limb and exercising the opposite limb. -Do you have a good support system? -Are you at a point in your life where you can change and fail? 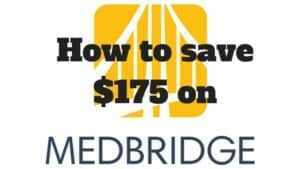 Can you afford to fail? 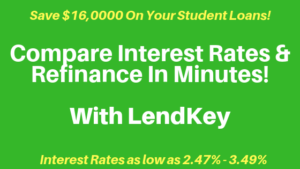 -Financially can you support this venture? -Spend time researching, because there is going to be a lot more time that you think to do this. Need and necessity inspire change and innovation. You have to force yourself to step away and take breaks. The start up takes a lot of work! Don’t get distracted by shiny objects and all the technology to get started! Anything you learn to build your business will help you grow in all other areas! Take pride in your little accomplishments! Total Motion Release is a great technique to treat children and also those post surgical or immobilized.